Scientifically proven mobile microlearning platform that combines proficiency analytics, coaching support & knowledge reinforcement. The Qstream process was very easy, and support was excellent. Most importantly, our users liked it and successfully enhanced the skills they learned in class. I am not sure that I would say that we disliked any part of the experience. Perhaps the ability to accelerate the question delivery for those who procrastinated to allow them to finish. My only concern was with our folks willingness to participate, but they did and really enjoyed it. Ultimately, the proof was in the skills improvement results. Live training can be very effective, but with any new skill, repetition and practice is necessary. Qstream allows the learner to thoughtfully practice their skills in an engaging way and improves the ROI on the learning event. "Qstream is an OUTSTANDING Innovative Mobile Effective Training Tool"
Qstream is so easy to implement and train a vast group of colleagues globally in a fun, efficient positive manner. I love the concept of reinforcing the learning by asking the question twice, mixing in some timed questions, getting positive competition going and really supporting so many diverse ways to teach a topic. The accessibility on the mobile devices is a huge benefit indeed ! You can always add them in later so that's good. Its so reasonable and what you get in return is so worth every investment ! Many benefits include, training a global force remotely, identifying specific areas for additional training, sending fun prizes to winners. What Microlearning Platforms solution do you use? "Qstream provides flexible reinforcement and training delivery"
We like that Qstream can be used to both reinforce the key elements of a previously delivered training event/program, and we've also found value in using the tool to be the actual delivery channel for some training topics. The flexibility to do this is very valuable. I don't dislike anything about the tool, but a potential area of improvement would be an admin interface where we could be more self sufficient building/updating questions and making adjustments to participant rosters. The biggest problem solved is our previous gap in a mobile accessible tool to deliver microlearning content in a non-intrusive format to our field based Sales teams. Another key benefit we've seen is the engagement of Sales management using the tool to coach their teams. I have used Qstream for almost 5 years in two different companies. There is so much flexibility depending on your needs. We have used the "Lightning" round when we want a quick way to test for knowledge. We use the traditional Qstream when we want to review new product knowledge where they see the questions several times to increase retention. It has been used for review of pre-work and post-work review after a sales meeting. The sales representatives love the competitiveness of the Leader-board. We have had competitions between the sales regions and individual competitions and it is always talked about for weeks afterwards on how fun and engaging Qstream is. They love our Qstream Challenges! There are no downsides to using Qstream,, none at all. There is a tremendous amount of data available from our Qstream Challenges for our sales managers to review and provide individual coaching but the coaching rarely or never happens. Sales managers get too busy to provide the coaching with the data that is available. I love the data but am frustrated that the data is not used for a coaching opportunity. What gets measured gets done at our company. Our sales reps are better prepared and taking each Qstream seriously because of the Leader-board or rankings. They are learning the material and looking to always place in the top ten. We have found that the sales reps are studying and learning the material because they know they will be getting a Qstream to measure their knowledge. "A convenient, fun and learner-focused approach to sales learning and development." Its very flexible and has the potential to be extremely effective for the fact that users are more likely to be engaged. The foundation in neuroscience and thoughtful approach to features and functionality are great, but without engagement, all of that could have been wasted. Qstream works because users actually enjoy the experience. From an admin/manager perspective, the quantity of notifications can start adding up. I was happy to learn that the Qstream team is already working on this, so it shouldn't be an issue for much longer. Invest the time to ensure you get the most out of the platform. Qstream provides great documentation and guidance to help, but do expect to put in some work in preparing your content and developing high-quality questions with related media/assets. Also, have a solid communication plan to create the right amount of awareness and excitement prior to the launch of your Qstream challenge. We attempted to reinforce critical content on sales and business strategy that would otherwise be quickly forgotten. The spaced-learning model supported stronger retention and left participants asking for more. Now we have a ready audience who looks forward to other opportunities to learn. "Qstream keeps our reps engaged." Our sales reps enjoy the fun gaming element Qstream brings to our education initiatives, and this makes delivering the knowledge they need much easier. Answering Qstream questions is quick and easy and allows our field sales team to learn on the go, where they are, rather than at their desks at the end of the week, squeezing education in before an arbitrary deadline. The Qstream team is fantastic, too -- they're always available to answer questions and provide feedback that helps to improve our approach to testing, and they work with us to configure the dashboards and reporting that make sense for our business. There's not much to dislike with this system. There was perhaps a bit of a learning curve to understanding the best way to tag user rosters to achieve the reporting I need, but the Qstream team is knowledgeable and willing to help, so this is a very minor thing, and something I'm confident we'll overcome quickly. The main problem we've addressed is the need to educate sales where they're at: in the field. Our previous approach to e-learning required our sales team to be in front of their computers answering 10+ questions at once. This sometimes time-consuming approach could be frustrating for our busy salesforce, and didn't exactly drive engagement. With Qstream, they're answering two or three questions at a time from their mobile device before hopping on a plane, or wherever else they find a few minutes to learn. Another benefit is the ability to provide our learners with immediate feedback, not just on whether they've answered a question correctly or incorrectly, but also with additional detail to reinforce the correct response. This extra level of detail helps to ensure that when they receive the question a second time, they're confident in their response. Qstream reporting has given us the ability to identify the gaps in our sales team's knowledge, and where additional coaching is required to reinforce our messaging. And the ability for our sales team to provide feedback within the application helps us to get better at educating them -- they can tell us when they find a question confusing or the answer choices misleading, and we can use that feedback to improve our approach to future Qstreams. "We used QStream to help us test education knowledge retention for new hires"
While the reporting that existed was well done, it would have been helpful to allow for custom reporting, and automatic data downlaods for our own internal analysis. I would recommend narrowing your focus to specific topics when using QStream, instead of trying to test knowledge transfer of information across an entire curriculum. We were trying to solve and validate knowledge transfer for new hires. Since so much information is given to them in the beginning we want help them retain information as well as validate that the information retained. It’s brilliant! The reinforcement science & gamification are great. The analytics, even better! I love the visuals of the dashboards, but I'm not crazy about the report capabilities. It's a little confusing. That last question - is Qstream headed in the right direction? Totally. I'm driving a project to modernize my organization's learning process. Qstream helps me put training literally in the palms of my learner's hands. And it's making it fun! Qstream has been a wonderful reinforcement tool that we utilize to enhance the memory recall of the information taught at our training workshops and classes. We utilize Qstream with our Business Advisors who have just completed their Level 1 and/or their Level 2 training. We also have used Qstream at conventions and large meetings as well as with our Certified Business Program. The customer service is exceptional with our Client Account Manager and he is always ready to answer any questions we have even if they are time sensitive questions during the roll out of a Qstream involved over 450 users! We love Qstream and the easy, user friendly platform within the app and website! Couldn't say we dislike anything, however we would love to see the backend of which users have registered with their password or not - just for accountability purposes. Also, perhaps a scheduler that varies the Qstream launches as they are launched vs. being by the exact hour- for the intial launch. We'd like to set the continued questions to be at different times rather than the same time as the initial launch. We're reiterating information within the classroom that has been learned which leads to our Business Advisors receiving the information one more time - gaining confidence as they get the information presented to them once more. "Thoughtful product, delivers on value prop, incredible service"
Functionality and UI deliver on a simple goal- to engage users with a few questions each day to reinforce learning objectives. Our rep, Bridget, is incredibly responsive and supportive in helping us achieve our goals and timelines. I like that it works just as well on mobile and desktop. The gamification aspect is a great driver of engagement. The product is designed around learning principles, and the people at the company believe in how they are helping people learn. There are some limitations. For example, it is capable of doing surveys, but only with anonymized data, so for surveys we had to leverage google or survey monkey. Also, they have competitors who will do a more custom approach to understanding your learning objectives and developing your curriculum for you, so if that is your need then you may want to explore other vendors. We are helping our sales team learn new material more quickly and stay on top of their game through reinforcement and gamification. We've seen reps ramp faster, learn new material faster and more thoroughly, while keeping morale high. "Associate Director, Training and Clinical Education"
The participants find this platform to be fun, easy, quick and competitive. As an administrator, I appreciate the behind the scenes support from the Qstream staff. Nothing thus far - we are in our second full year (after a successful 2015 pilot) and we continue to see improvement in knowledge retention with Qstream. Spend the time up front learning as much as you can about what Qstream has to offer. Request a pilot program - that was my way of proving to my internal stakeholders that this was a program worth the investment. Our training department realized that there was a gap between initial new hire product training and the ability to ensure that the information transferred in the classroom was being applied in the field. We wanted to find a way to keep product, market, competitive and key messaging information current and in the the minds of the attendees long after the initial training "event" occurred. "Both web and app keep learning and training fun and easy to engage with"
The tracking of leaderboards and scheduling of questions means that it keeps a mix of questions coming without boring repetition. The mastery of a question idea also helps reiterate answers to memory without losing any emphasis. There are limitations for polls and surveys, really is best as a training and development tool through questions and quizzes. Set against teams and locations with a reward structure for 1st and 2nd place. Training and increasing knowledge of sales team from new hires to existing staff with lightweight easy to digest questions over a period of a quarter. "Great tool to ensure reps know what they should know"
Easy for users to adopt. The teams really like it, especially the competitive aspect of it. Video coaching is still immature. You can't have multiple reviewers, you can't customize the areas for feedback and you can't make a user redo it. Qstream has helped us to ensure our reps are knowledgeable about topics we have covered in calls, training and other mediums. This reinforcement is the key value we put on Qstream. "Used Qstream for over 500 users over a one year period"
Back end reporting, was very seamless. The reporting is very helpful to take action on. The cost is at times difficult to handle, depending on the group. I love that it gives individuals bit size information to understand and reinforce! I wish there were video capabilities where individuals can record their response. Convenient and engaging way to recycle and embed knowledge in our employees. The competitive element is also a great feature. "Qstream mobile learnign has been a great addition to our continuum of learning with our sales org." Quick and easy to use for our sales teams. The reinforcement and pull through of technical concepts and selling skills is vital to the success of our business. Qstream provides easy to manage metrics providing our marketing and sales leadership detailed information on content retention and areas of focus. Qstream provides T&D a platform to deliver reinforcement and pull through of concepts while utilizing the data to identify coaching opportunities. Although it is not difficult to populate the question and answer template, it would be a benefit to have an easier way to populate the template for each Qstream course we launch. Perhaps more automated. Cant go wrong. Qstream is a cost effective, easy to use and implement in a very short period of time. We have a very small team of one person. I acquired Qstream, was trained on the system and delivered 2 courses to the sales team in a 4 month period. I highly recommend it no matter what the size of your organization is. We have solved the need for real time follow-on reinforcement and coaching of key concepts and messaging from specific training sessions and marketing programs. It is a value to T&D, sales and marketing departments to have a easy to use platform that is electronically measured providing areas of proficiencies and areas of opportunities to revisit when needed. The fact that we are able to train our salesforce in a continues way. The enthusiasm of the team in doing the steams. 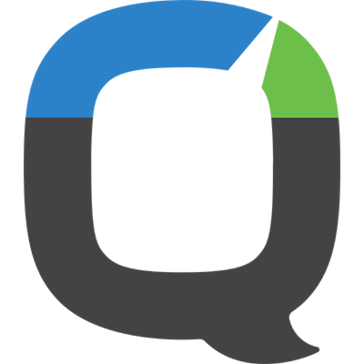 "Fun way to reinforce key knowledge/behavior with powerful data for future training needs"
The on-the-go, simple, quick format of Qstream ensures participation by sales people. The integrated gamification creates a fun competition to increase engagement--participants are learning in an engaging, high-touch way. The data that Qstream collects on the backend helps us measure impact of training and plan for targeted future training. Training knowledge and skill reinforcement post-event ("stickiness"), data-driven training (are we training the right people on the right things), and transfer of training measurement. Qstream is simple to implement and easily adopted by participants. Participants like the competitive component of the program and leaders enjoy seeing the analytics as well as the ability to provide coaching with the program. Nothing! Super easy, great reinforcement. Knowledge retention. We have seen an increase in accuracy of several of our processes. "makes learning retention fun and easy"
Training FUP has always been a challenge in our organization and also to see what information sticks with the learner after the actual certification in the calssroom. QStream makes on-the-go learning simple and accessible to Pediatric residents. They are able to learn medical concepts seamlessly while taking care of patients. QStream requires a bulky log on process for new users. Learning purposes, rather than business. I like the metrics that are built into the system. They allow me to track what points hit and what need reinforcement. I wish I was able to screenshot all of the questions in a given Qstream. New agent orientation, new product rollout. The process is a little informal, meaning I don't have visibility to the workflow between my company and Qstream. This is not a huge issue. Ease of use for end user. Excellent results. Nothing. The system works well. New dashboard much improved. "An excellent on-going teaching tool"
The platform is easy to use, and the support from Qstream makes it turn key. Participants sometimes get frustrated over the scoring - based on time etc. Need a better way to explain it to them. We are reinforcing learning to a widespread team on the go. Participants like sharpening the saw so to speak. I like that it literally saves time and makes your performance go through the roof without all the extra time! I have no problems. Benefits to this is tracking your performance, data driven, and also there is an increase of new information I discovered. "Really good for Sales team and great support!" It's easy to use and the team are always so helpful and happy to make any changes required! There is nothing I dislike about Qstream. Qstream allows us to test the Sales team on their knowledge and reinforce key benefits and features. I appreciate the real-time method of delivery which QStream allows. Our sales reps appreciated the competition the dashboard provided and were easily engaged with the tool and content. Nothing comes to mind! Account rep was helpful and entire process ran smoothly. Good reports that are generated. Easy to see where people are struggle individually and how the group is performing across topics. Support staff was incredible. Guided us through every step and was very responsive. Qstream is extremely easy to use especially on mobile. There is nothing I don't like about Qstream. For training purposes and we get to see our scores against others. The ability to have a consistent platform in order train. the questions that were created for our training, lots of possible answers. Great learning and retention tool for sales reps.
* We monitor all Qstream reviews to prevent fraudulent reviews and keep review quality high. We do not post reviews by company employees or direct competitors. Validated reviews require the user to submit a screenshot of the product containing their user ID, in order to verify a user is an actual user of the product. Hi there! Are you looking to implement a solution like Qstream?